Often we don’t get to see positive results from the work that we do. That’s why each time we do see results it is a cause for celebration. This is one of those stories. One day a young girl came to Notre Dame Clinic in Nsawam, Ghana. . Her name is Lebene. She had been lighting a lantern. No one knows exactly what went wrong. Probably the lantern was filled with petrol rather than kerosene. In any case the lantern exploded right in the girl’s face and torso. She didn’t come to the clinic until a couple of days after the accident. 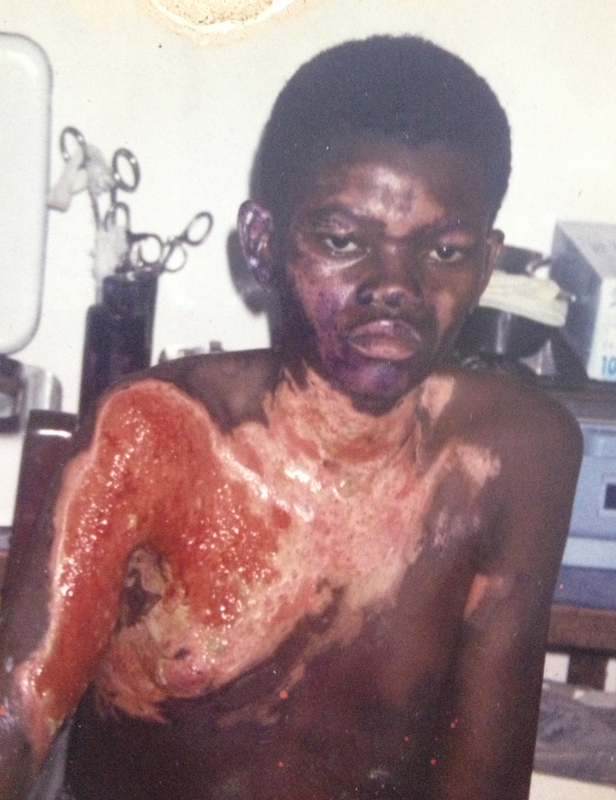 When Lebene arrived at the clinic, the burns had not been cleaned or tended to at all. Very gingerly the wounds were cleaned and dressed. 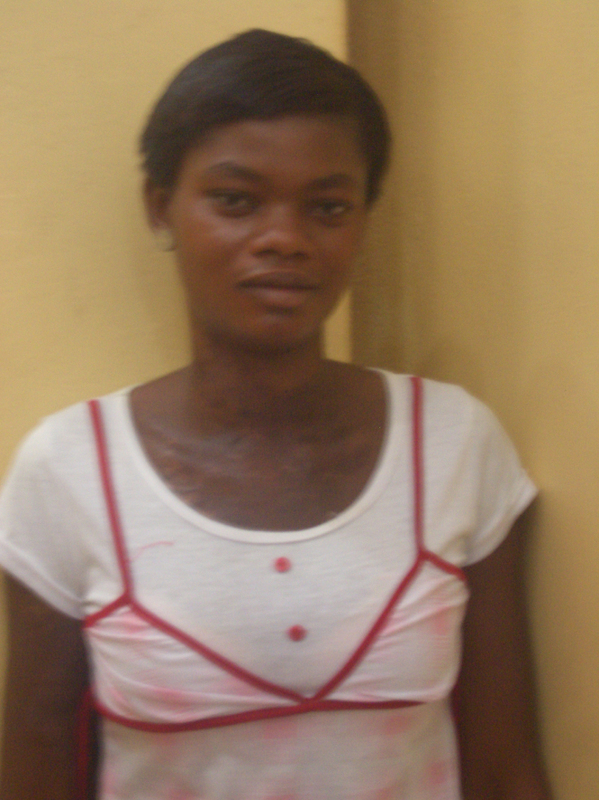 She was instructed to come daily to the clinic so the wounds could be cleaned and redressed. Very soon physical therapy was added to the daily routine. Sister Cecilia, who is the director of the clinic, was afraid that Lebene would lose mobility in the arms due to scarring of the burns. This routine was repeated for weeks. Finally the healing was far enough along that Lebene was able to return to her home. She had been staying with relatives in Nsawam. Sister Cecilia felt pleased that such good progress had been made . She was concerned, though, that Lebene would never be able to nurse a baby, the wounds on her chest had been so extensive. 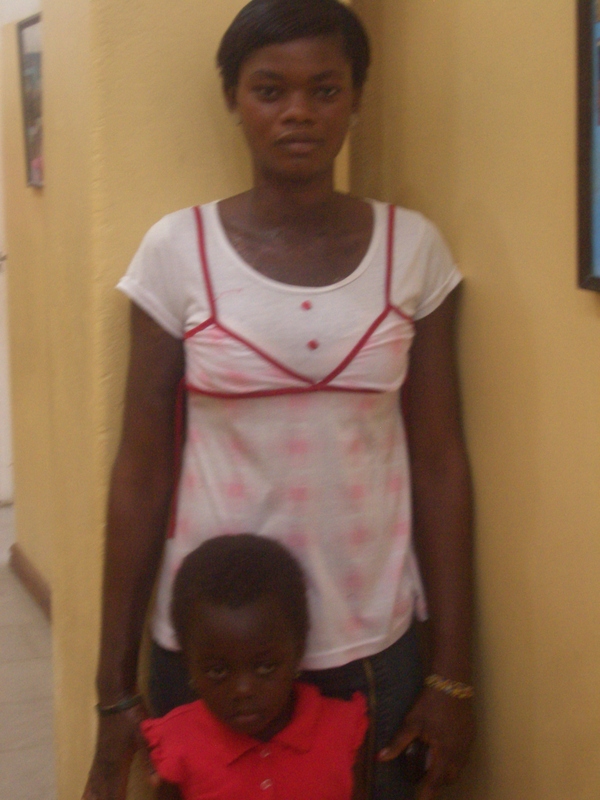 Imagine her delight when, three years later, Lebene returned to the clinic with her small daughter who she had been able to nurse! What a great gift her return was to the whole staff of the clinic! Lebene shortly after the accident.